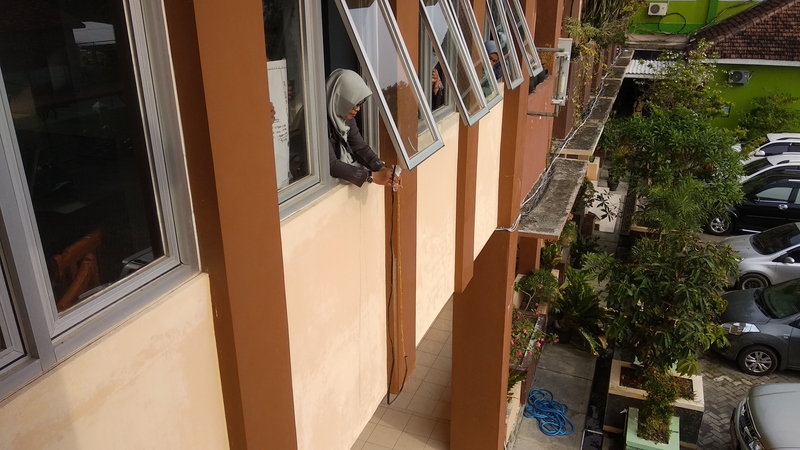 The effort to conserve the mangrove can be initiated from school. School society is expected to find out the significances of the mangrove then support the mangrove conservation programme. The utilization of mangrove by the society can keep mangrove from damage and destruction. 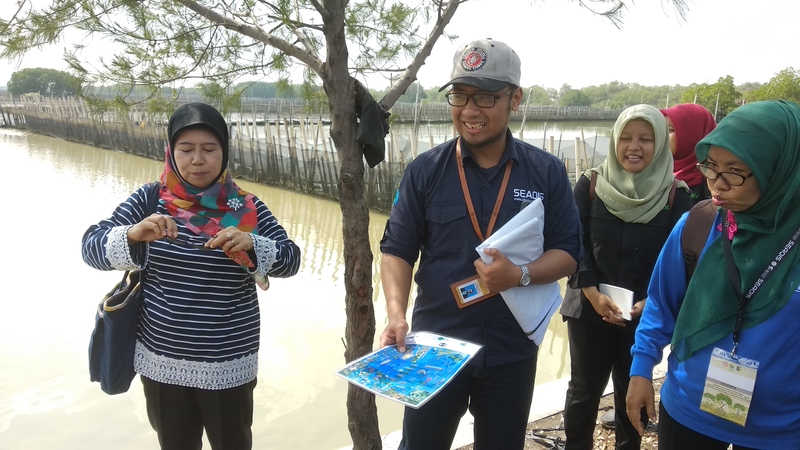 With that in mind, SEAMEO QITEP in Science conducted a training in the coastal area to introduce the society to mangrove conservation as early as possible. 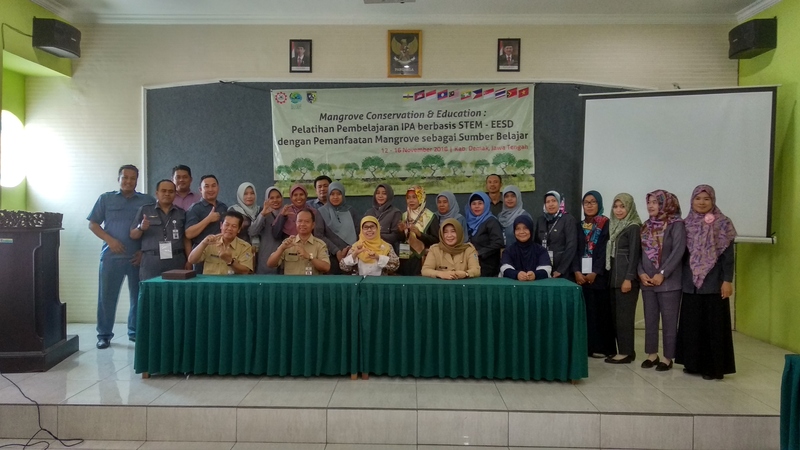 The training was conducted from 12 to 16 November 2018 in Demak Regency, Central Java, entitled STEM and EESD-Based Science Learning: Mangrove Utilization as a Learning Resource. The training was aimed at improving science teachers’ awareness towards mangrove conservation. Besides, the training was also aimed at introducing the science teachers to the impact of climate change, and STEM-based science learning. The training was opened officially by Mr Anjar Gunadi, Head of Demak Education Office, where in his remarks, he delivered that it’s a very fortunate for teachers from Demak regency to be involved in such training, moreover, the theme of the training is about mangrove conservation which is an important knowledge nowadays. The opening ceremony also attended by Dr Indarjani, the Deputy Director for Programme, where she expressed her gratitude to the Demak government for the support upon the conduct of the training. She also wished that the training will bring benefits for the participants particularly concerning the mangrove conservation. During the training, the participants discussed the impact of climate change to the ecosystem of coastal area, ethnobotanic and mangrove conservation and other topics related to STEM Education. 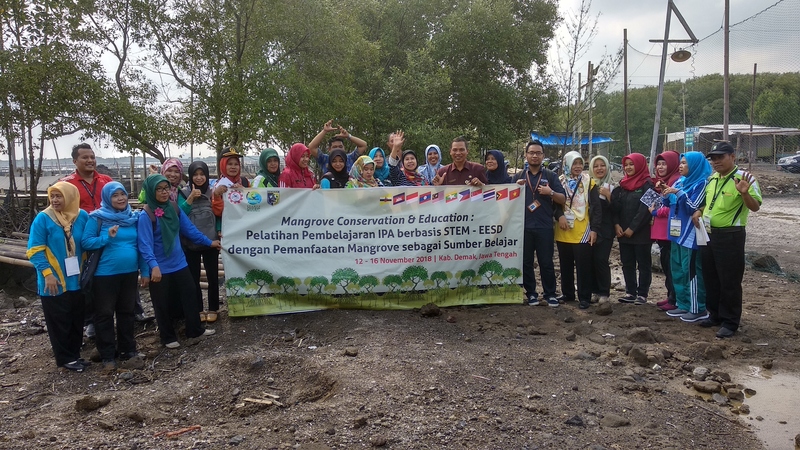 The participants also visited SDN 1 Bedono as a part of field study to learn about mangrove directly from its ecosystem. At the end of the training, the participants were required to arrange a follow-up program for disseminating what they acquired during the training.